Well, it’s Black Friday – some unfortunately believe that this is a national holiday in America. For those in the restaurant business this is a day to recover from Thanksgiving service when we serve hundreds of guests who chose not to cook at home, offering a menu that is not typical for the restaurant but traditional for the day, and saddled with a significant amount of leftovers that do not reflect the standard menu of the operation. Today is a day to inventory and be creative with features, or at least staff meal for the next few days. While much of America is fighting for that special deal in department stores from coast to coast, chefs and cooks are clawing their way through a rough day in the salt mines and visions of the holiday kitchen chaos to come over the next 36 days or so. On the first day of Christmas…….. Chefs typically build their reputation on the passion they have for ingredients, styles of cooking, flavor profiles, creativity and consistency. 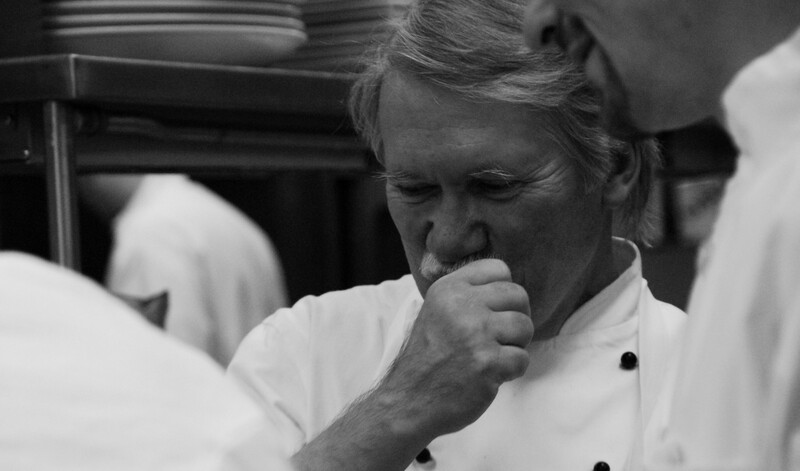 Life would be much simpler if every cook shared this passion for the craft and the product. Use it and clean it, think twice about the number of pots and pans that you use, thoroughly scrape and properly stack pans and dishes, rinse before food turns to concrete, don’t fill soap and sanitizer set sinks up with dirty pans – you can’t clean items in water that is already compromised – wouldn’t this be a wonderful world? EQUIPMENT WOULD NOT BREAK DOWN ON WEEKENDS, HOLIDAYS, OR AFTER 5 P.M.
“Where is the blade for the Robot Coupe, the top for the VitaMix, the piano wire whisk, the kosher salt, Olive Oil, and the list goes on and on”. Remember “Mise en Place” – everything has a place and everything is in its place. How hard is it to take a few seconds to make everyone’s life a lot easier and maintain the integrity of ingredients. Combine #9 with #8 and you have a winning formula. Chef’s should not be the guinea pigs – one of the most essential parts of the job (as professed by Chef Michel LeBorgne) is TASTE- SEASON –TASTE. When a cook relinquishes this responsibility to the chef then he or she will never truly learn how to cook. Oh, what a wonderful world it would be if this list could be honored. This truly would be a christmas wish, maybe one day!